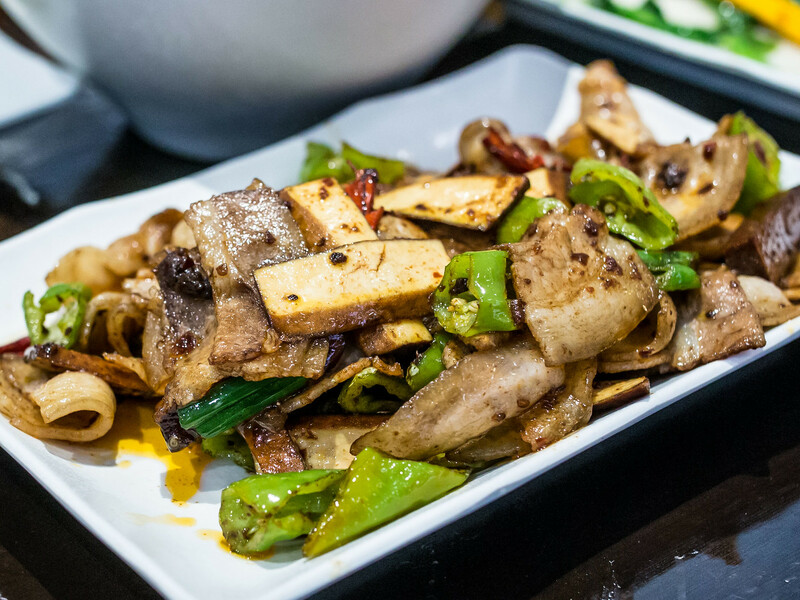 One thing both my parents and my in-laws have in common is a love for Sichuan cuisine. This year for Father’s Day, The Hubby and I enjoyed two delicious, mouth numbing, meals. One with my parents, at one of our favourite Mississauga restaurants, and then the following night at a new-to-us restaurant in Markham, Szechuan Legend. With the great meal we had there with my in-laws, I can’t wait to introduce the restaurant to my parents next time. 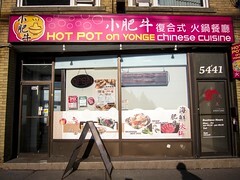 Atmosphere: The restaurant was located in a strip mall filled with restaurants and bubble tea shops (6 different ones). Tables were filled with families and many had large groups of 8 or more. Framed photos of Sichuan province in China decorated the walls and the dining area was clean and uncluttered. 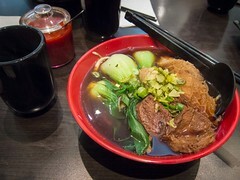 Service: Szehcuan Legend had the feel of a mom and pop shop with very attentive and pleasant service, not the norm for most Chinese restaurants. One of the servers (the owner?) noticed The Hubby’s big camera and brought over an extra chair for him to set it on instead of the table. I really appreciated the added effort. 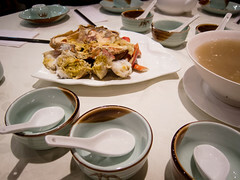 Dishes arrived quickly and steaming hot. 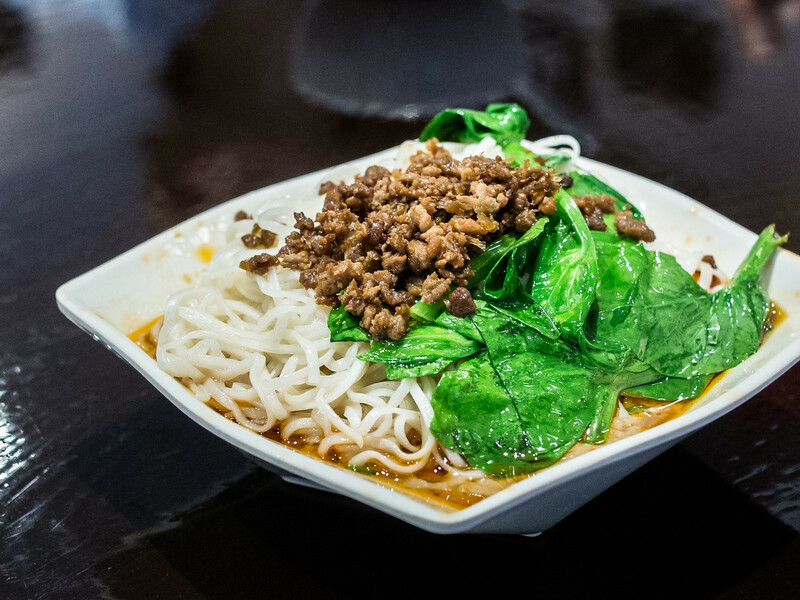 Food: For dinner, we started with a bowl of Dan Dan Mian, one of my favourite dishes and one I always order. I enjoyed the seasoning of the sauce and minced pork, a good balance of salt, spice and numbing pepper, but would’ve liked the noodles to be a little more al dente. Although, this was the consistency that my father-in-law prefers. 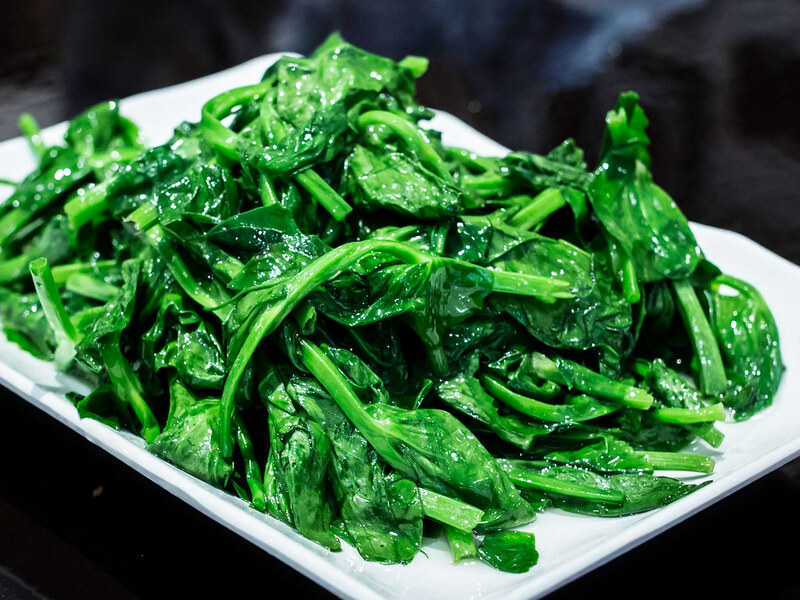 Our one vegetable dish was stir fried pea sprouts, which was tender and sweet. Clearly, a lot of work had gone into preparing the vegetables to ensure there were no tough stems, far more attention and care than when I cook pea sprouts at home. 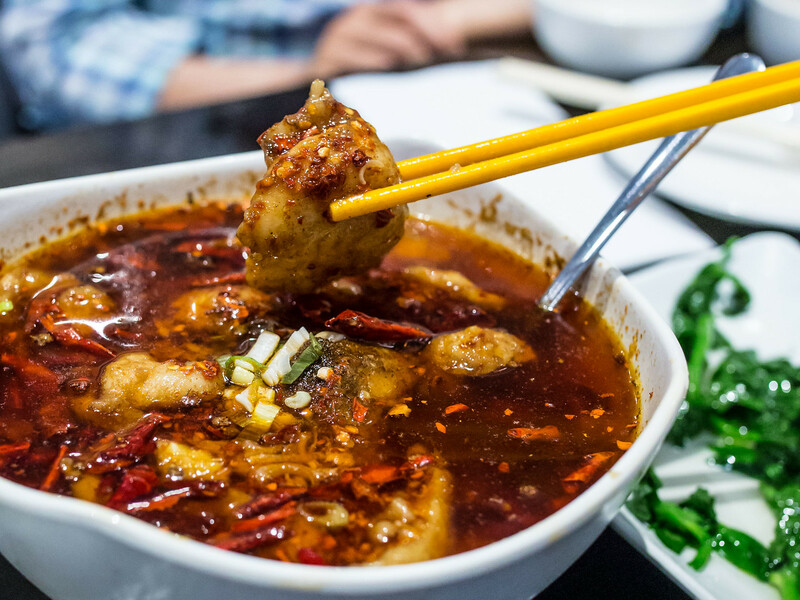 The first Sichuan entree we ordered was a bowl of Shui Zhu Yu, tender chunks of fish fillet in a spicy, numbing broth. Every ladle scoop was filled with fish, and the bowl seemed never ending. The dish had very little filler of bean sprouts or glass noodles. For most diners, this would’ve been a plus but I actually really enjoy the filler ingredients and would’ve been happy with a ratio of less fish. 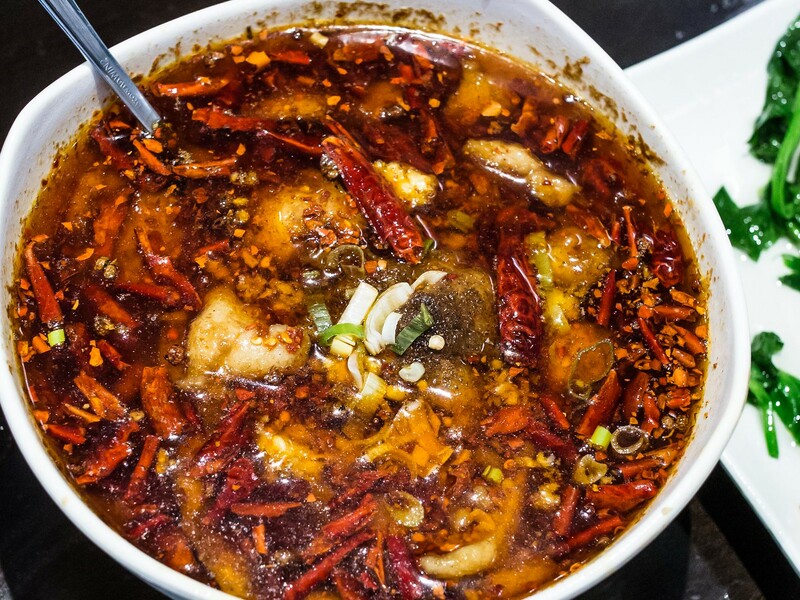 As for the seasoning, the dish had an excellent balance of chili peppers and Sichuan peppercorns. I liked that the peppercorns were crushed into a powder, with created a strong, even flavour. My tongue tingled and lips burned in the best kind of way. 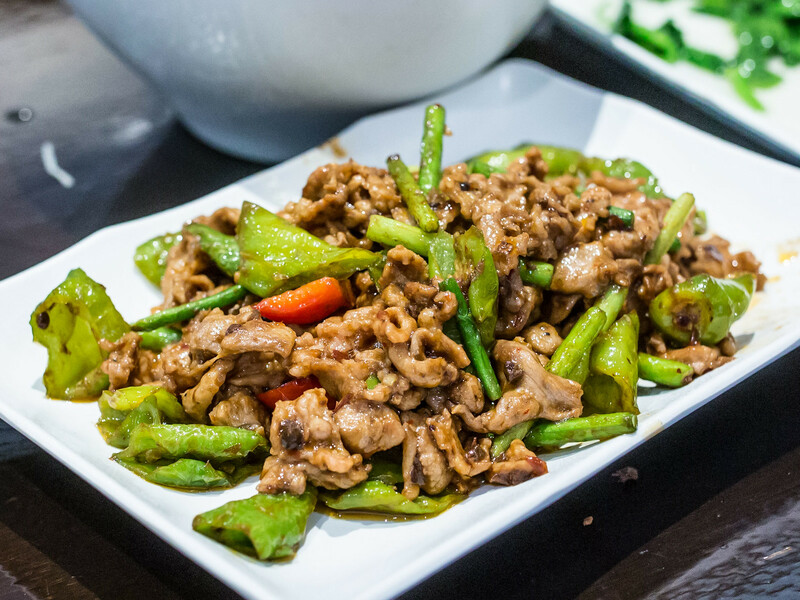 We tried two stir fry dishes, a Cumin Lamb and Double Fried Pork Belly. 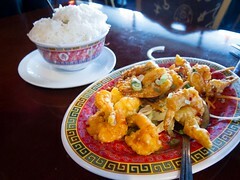 Both dishes used a combination of banana peppers and a spicier variety. I liked how the banana peppers added a touch of sweetness to the flavourful dish, which also packed quite a bit of heat. At this point, a round of ice water was called for. The thin lamb slices were generously seasoned with cumin and the pork belly was rendered to be soft and chewy. The last dish of the meal was one I’ve never ordered before and a surprise hit. 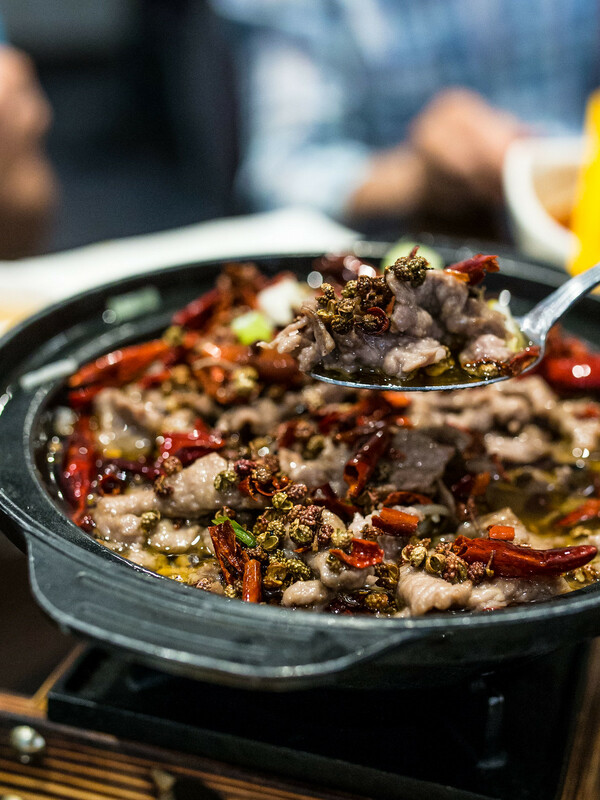 Tender beef in a sizzling pot of oil with chili peppers and Sichuan peppercorns. My favourite aspect of this dish was how strong and fragrant the peppercorns were. There wasn’t much heat, but the aromatic peppercorns (kept whole this time) created an addictive sensation and taste. 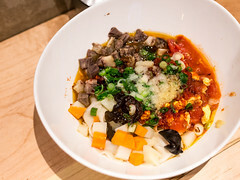 We polished off this sizzling bowl and packed the Shui Zhu Yu leftovers for home.